The Ortlieb classic, with a simple extra refinement to make better use of your space. 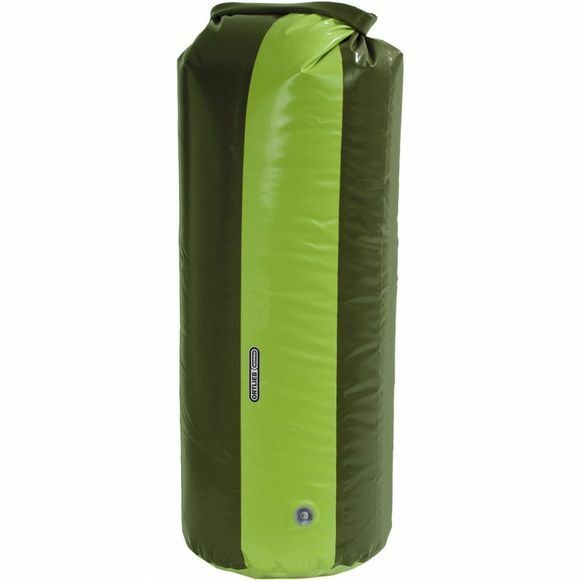 As well as a roll-top closure to reliably seal out the wet, this robust waterproof sack features a purge valve to allow you to squeeze out all the spare air (which tends to get trapped when you roll down the top), or squash bulky items such as sleeping bags down to a more manageable size. D-rings at the top and a welded loop on the reinforced base are great for tying it down (or securing with a cable lock); the base loop also comes in handy for shaking the contents out.